Plaintiff, a resident of Prince George's County, Maryland, undergoes a total knee arthroplasty (knee replacement). The surgeon is employed by Suburban Orthopedics. Suburban Orthopedics is an orthopedics service operating out of Fort Washington, Maryland. Plaintiff remains in Suburban Orthopedics' care for three days, during which time he repeatedly complains of pain from the surgery. Plaintiff is transferred by ambulance to Southern Maryland Rehabilitation Facility where he begins physical therapy. Plaintiff continues to complain about pain from the surgery during his physical therapy. Less than three weeks after leaving Suburban Orthopedics' care, Plaintiff visits the emergency room at University of Maryland Charles Regional Medical Center. The emergency room doctor advises Plaintiff to return to his surgical doctor. Plaintiff returns to Suburban Orthopedics but is referred to a new doctor. The new doctor originally finds no cause for Plaintiff's pain. It is not until a follow-up visit two months later that the new doctor finds the cause: part of Plaintiff's knee had been misplaced in the original surgery (a fibrous fixation of the femoral component). Approximately six months after the initial surgery with Suburban Orthopedics, the new doctor performs revision surgery on Plaintiff's knee. The revision surgery reduces Plaintiff's pain but does not eliminate it. Plaintiff filed a medical negligence lawsuit in Prince George's County, alleging that the Suburban Orthopedics doctor violated the standard of care by improperly placing the femoral component of Plaintiff's knee. It is contended that Defendant's negligence caused Plaintiff pain, increased his medical expenses, and caused his need for revision surgery. In Maryland, malpractice victims are required to file a certificate of qualified expert and a report that explains and stands behind the essential allegations in the lawsuit. This has not been done in this case and the defendants have correctly filed a motion to dismiss. This is the sixth case filed in Maryland in 2016, and the second case that was filed with the statute of limitations approaching. This particular case was filed on the last possible day. This is just a bad idea. Before you file a malpractice lawsuit, you want to make sure you have a viable claim. You need an expert who has strong opinions supporting your case. Certainly, the doctor here could be negligent for failing to properly place, align and fixate the tibial or femoral components that led to improper placement in this knee arthroplasty. But it can be hard to find an expert to support this type of orthopedics case. Sometimes a bigger challenge than negligence is causation. 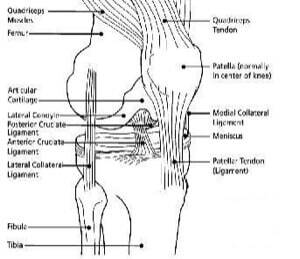 If a patient needs a total knee arthroplasty, there may be complications under the best of circumstances. Getting a doctor to say to a reasonable degree of medical probability that a patient undergoing this procedure who is having complications would not have had those complications without the negligence can be a challenge. Also worth noting is that Miller & Zois is now looking at DePuy Attune, Exactech Optetrak and Arthrex IBalance knee replacement cases. Call 800-553-8082 or get a free no obligation case evaluation online. If you have been harmed or if you have lost someone you love as the result of a surgical error, we can help you. Miller & Zois has a long history of success in getting large verdicts and settlements in surgical malpractice injured victims. Speak to an attorney today at 800-553-8082 or get a free, no-obligation online case review. Let's talk about the best path to justice and a financial recovery for the harms you have endured. Learn more about the trial and settlement value of your medical malpractice cases in Maryland. 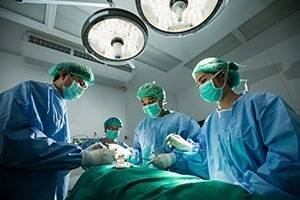 Get information on surgical malpractice cases in the Baltimore-Washington area.